Three luxury farm cottages, where traditional meets modern, ideally situated in a central location on the beautiful Llyn Peninsula. 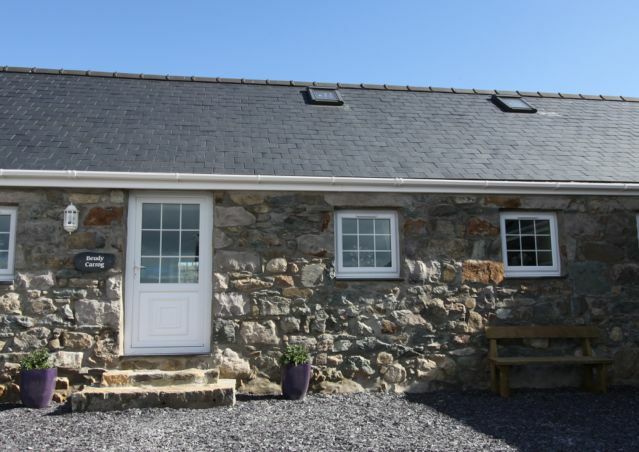 If you want the perfect family holiday, book `Y Gorlan', `Beudy Carrog', or `Stabal Carrog' for your self-catering break. Enjoy countryside and sea views in a peaceful and tranquil location. Get away from it all and relax on the beaches of the Llyn Peninsula! Stabal sleeps eight in four bedrooms and can be booked with the other two for a group of up to 18 people. A cot and highchair are available. Beudy sleeps six in three bedrooms and can be booked with the other two for a group of up to 18 people. A cot and highchair are available. "Enjoyed our stay in the most luxurious `cowshed' we have ever stayed in!! Our girls loved the snug room and great to have so much space to relax. Enjoyed some great walks, especially at Aberdaron. Hope to return"
"Our first visit and am so impressed. Both cottages are beautiful. Thank you, we were so comfortable and the decorations were the icing on the birthday cake!'" 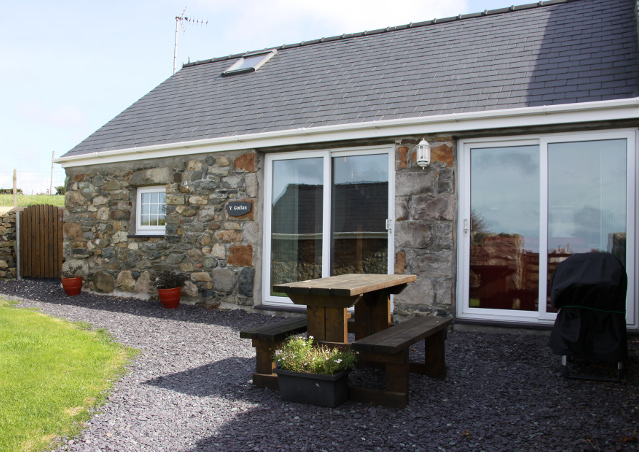 "We've had a great time here staying in this lovely cottage. Weather has been amazing for the time of year, we've had not a drop of rain, We recommend you visit Porthdinllaen, Whistling Sands, Nant Gwrtheyrn, Hell's mouth, the gallery at Llanbedrog and we even went as far as the Snowdonia Range, Betws y Coed etc. Thank you so much! X"
Our three cottages can offer you a romantic winter break, a summer family holiday or a weekend reunion with friends. 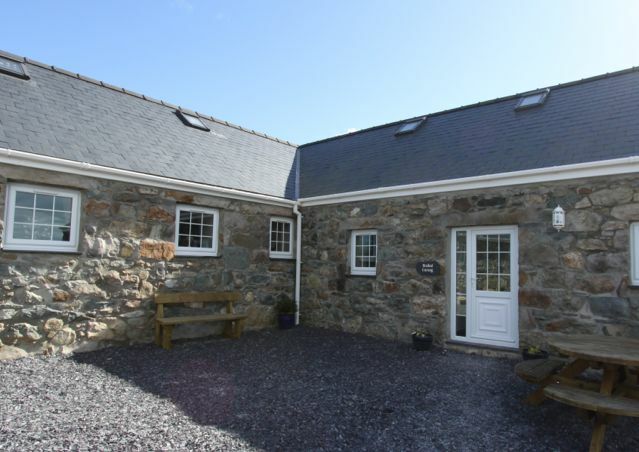 Enjoy the peace and tranquility of this beautiful part of the Llyn Peninsula! Listen very carefully - you won't hear a thing! Come and stay at our new self-catering property this year - sleeping 14. Built at the end of the 1920's in one of the best locations possible on the Llyn Peninsula for fabulous views stretching over Hells Mouth right over to Cardigan Bay and Pembrokeshire on a clear day.